Chef Philip Speer conceives desserts that are an antic­i­pated finish to dinner rather than an afterthought. As a 17 year old, Speer began exper­i­menting as a scratch baker in his home­town of Houston, Texas. Early in his career, Chef Speer gained expe­ri­ence by helping to open the crit­i­cally acclaimed Jean-Luc's Bistro in Austin, Chef Jean-Georges Vongerichten's Bank in Houston and finally Seven and Star­lite in Austin where he took on the task of revamping their dessert programs. Speer left Star­lite in 2005 to work at Uchi with recent James Beard Award winning Chef Tyson Cole. Speer has been named a James Beard Award semi-finalist in the overall pastry chef cate­gory for the past two years. 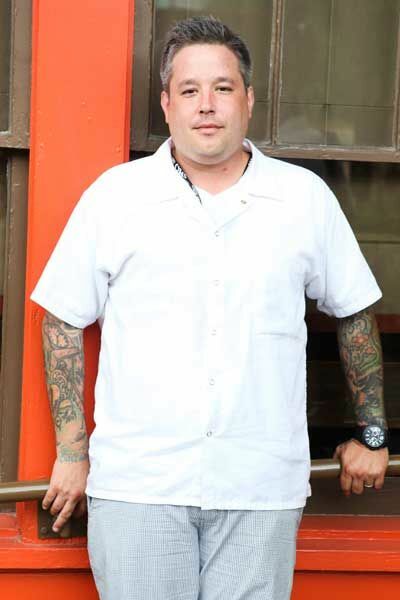 Speer's talents were rein­vented at Uchiko, trans­lated as "child of Uchi", which opened in July 2010 to national praise, receiving honors such as Texas Monthly's "Best New Restau­rant" and one of the "Best New Restau­rants 2010" by GQ.